Coppery bracken and silver birch. I paid another visit to Harcourt Arboretum to see how the autumn colours were progressing. Despite taking many pictures of brightly coloured acers, I was most taken with the silver birch glade where a shaft of sunlight was lighting up the bracken in full autumn dress. The combinations of greens, yellows and browns in the sunlight was lovely. 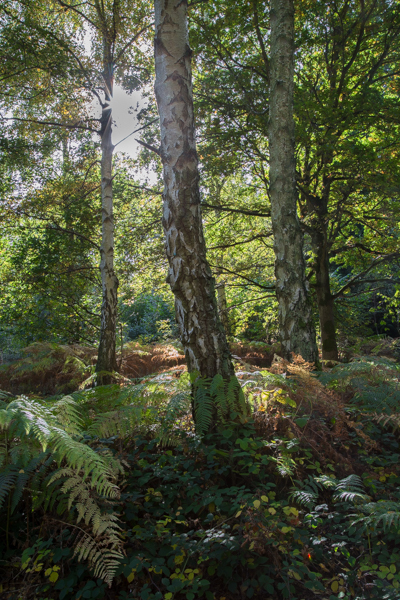 I am also very fond of silver birch, particularly the texture of the bark and the contrast between the silver and black markings.